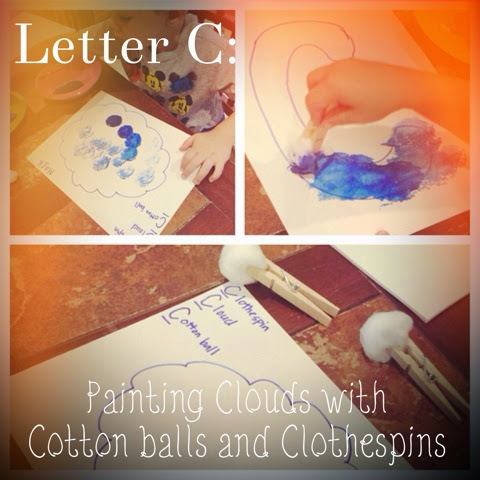 We learned 3 ‘C’ words with today’s art activity: clothespin, cotton ball and cloud. 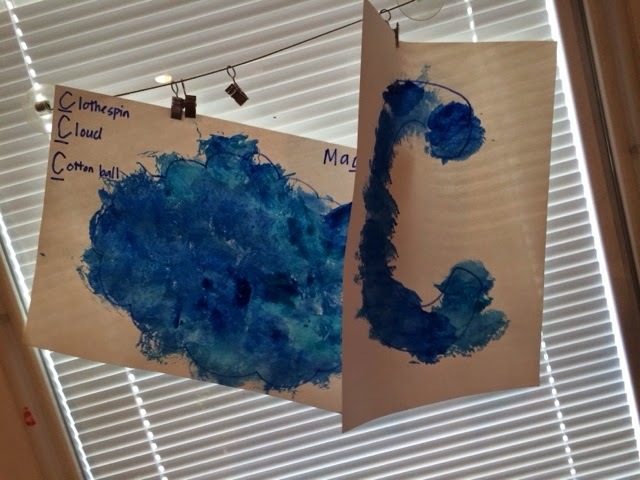 We are spending the month looking at the letters in Mack’s name in a fun way! 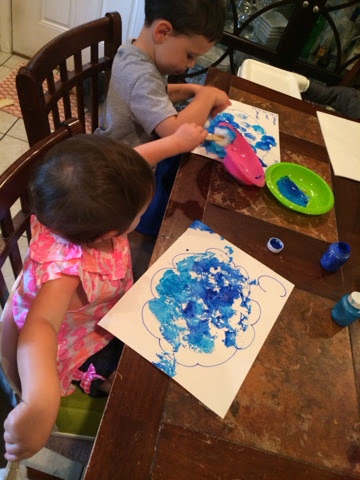 If you haven’t done cotton ball painting you have to try it! 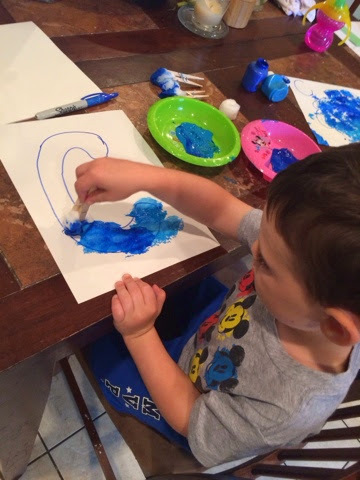 It’s a great alternative to a paint brush and pinching the clothespin is a great fine motor activity. 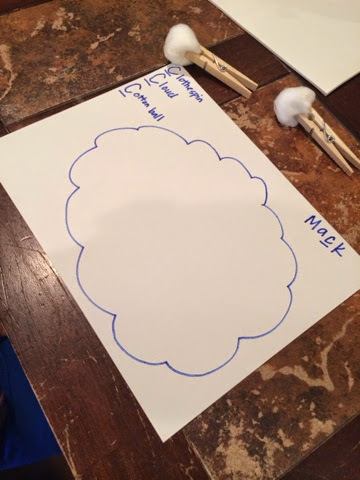 I just drew a cloud and wrote out the words that we would be talking about. I asked Mack to point out all of the ‘c’s that he could find and then showed him the object corresponding to each word. 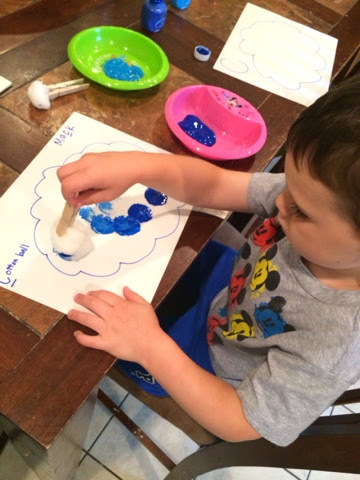 After letting him play with the clothespins and pinch the cotton balls I set out some paint for his cloud. Ava participated in the activity as well! It was her first time painting without edible paint and she did great! They just painted by dipping the cotton ball in the paint and dabbing it onto the paper. I’ve tried to plan activities that she can benefit from as well, although she won’t be focusing on the phonetics quite yet. Mack begged for more drawings to paint, so I took full advantage!